This was announced in Publishers Weekly yesterday. 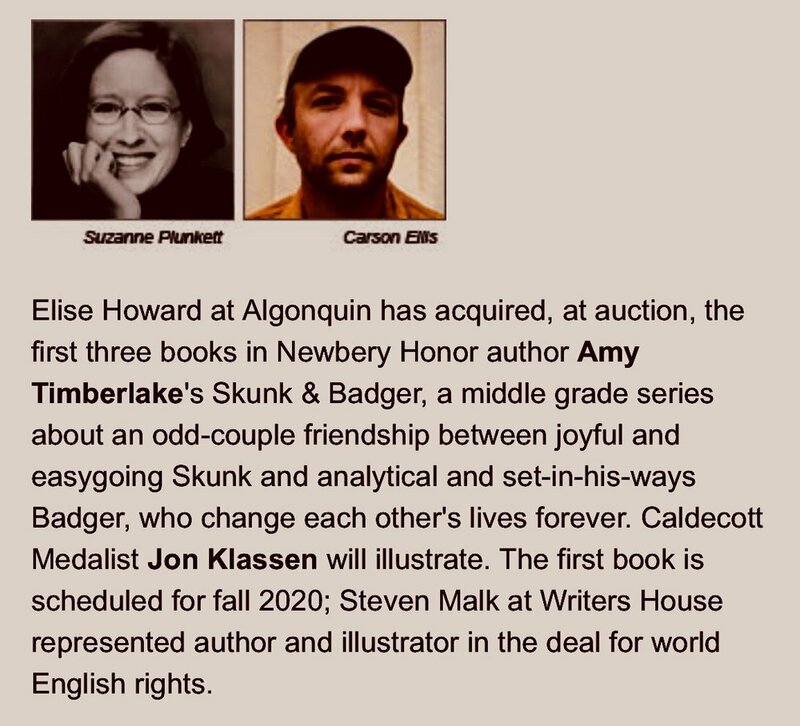 I am so excited to be working on this three book series, SKUNK & BADGER, with Jon Klassen (see here and here) and Elise Howard at Algonquin Young Readers. Also my agent, Steve Malk at Writers House, was amazing. Thank you Steve!